Right kind of furniture always helps you out to maximize your interior space! A furniture pieces that fits beautifully to your space can always make you left with more space to use for other purposes! 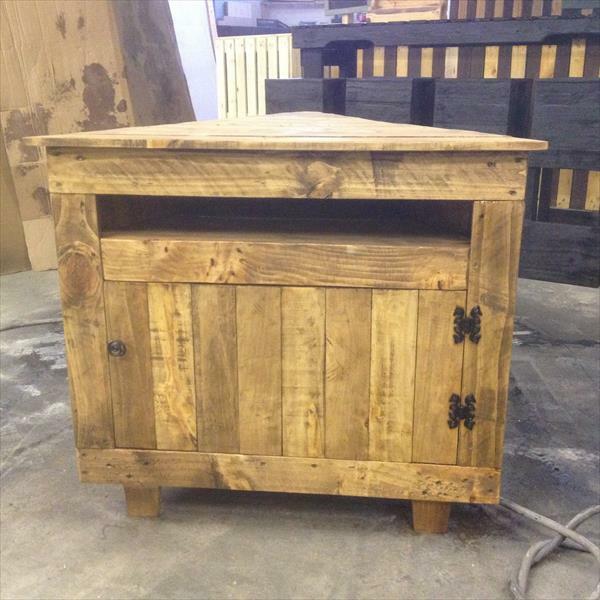 Pallet wood really provides you the options to go for custom furniture designs to fit and suit your interior spaces! You always have a freehand to scale up or down the dimensions of your targeted pallet projects for best fit! One example is this Wood pallet V-shaped sectional TV unit can give a best sectional fit to your short spaced media room, this would also be eyeful even if you are using it in your spacious living room! 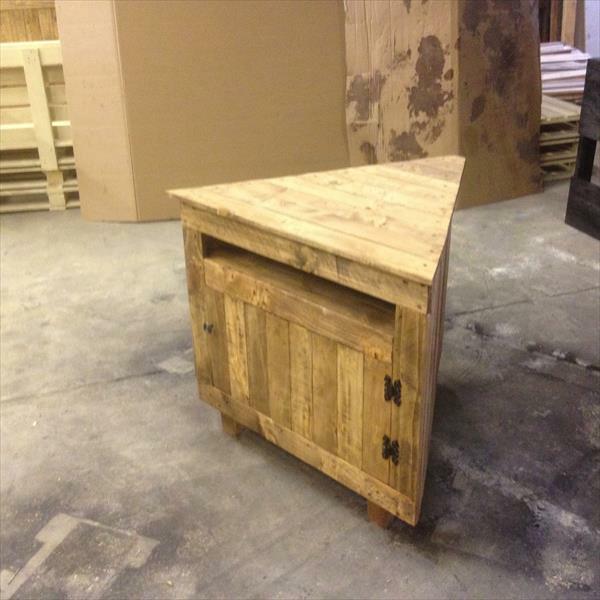 This pallet media stand comes with a storage cubby at the front and a small cabinet at the bottom panel! It can really lead you to create brilliant statements of media room decors can also be turned into a focally stimulating centerpiece by adding some decorative details and embellishments!